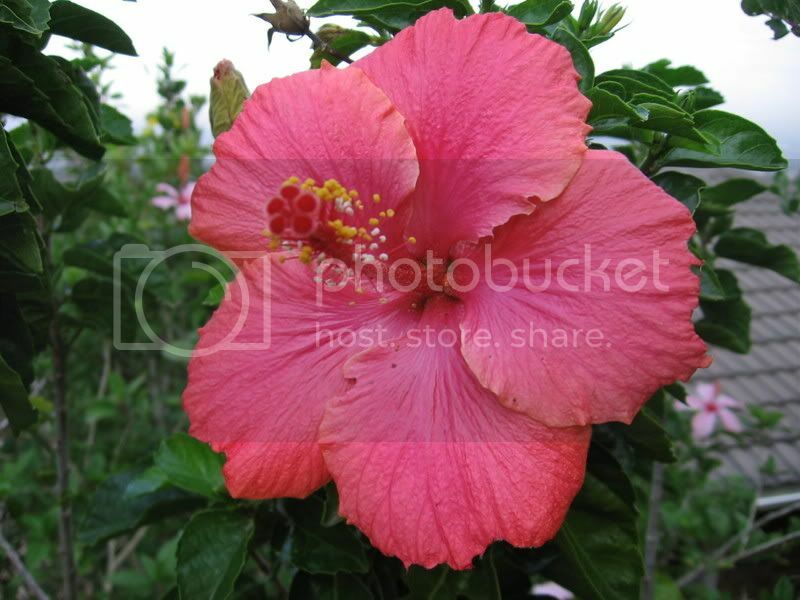 I have two large Hibiscus trees too. Here are their flowers. These two trees were in the garden when I purchased the house 12 years ago. 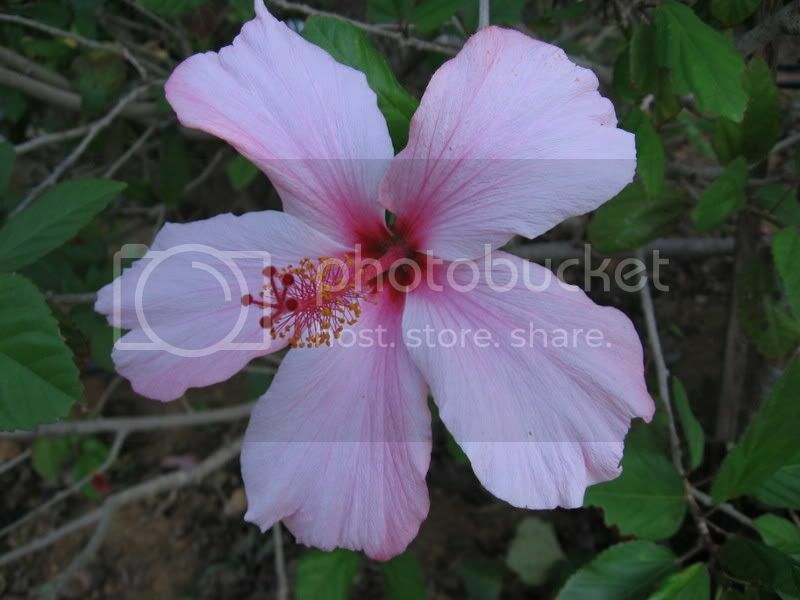 Very nice Hibiscus.They are so delicate. Large trees not large flowers. These trees are the largest I have ever seen, even in pictures,The roof must be 12-15 feet high?